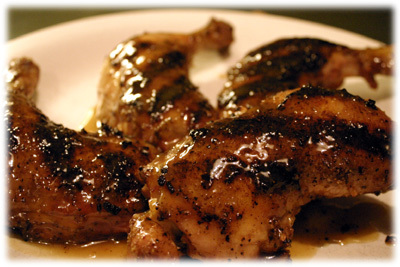 Of all the quick & easy chicken recipes I use, this grilled honey mustard chicken is by far the best. I love to use whole legs but you can use any type of cut you prefer. As always, leave the skin on, at least while the chicken is being grilled, to keep the moisture in. Also, bone-in cuts always remains juicier then boneless pieces while cooking. 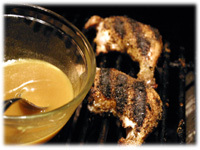 A bonus with this grilled honey mustard chicken recipe is the special seasoning blend that you rub on just before grilling as well as the Honey Mustard sauce you baste it with while it's being grilled. You may not have a couple of the spices listed for the seasoning blend (coriander seeds and cardamom) but I urge you to buy them if you don't already have them. I use these spices in other recipes and they're available at most grocery stores. Versatile spices and useful to have on hand. 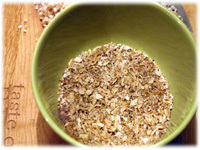 In a small glass bowl add the ingredients of the grilled seasoning blend and mix well with your fingers to ensure all of the ingredients are fully combined. 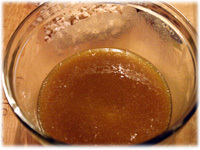 In another small glass bowl add the Honey Mustard Sauce ingredients and stir very well to combine the ingredients. Clean and oil the grates of your grill. Set up for direct grilling on one side of the barbecue and keep the other side unlit for indirect grilling. 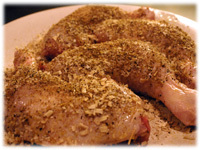 Place the chicken pieces on a large plate or pan. 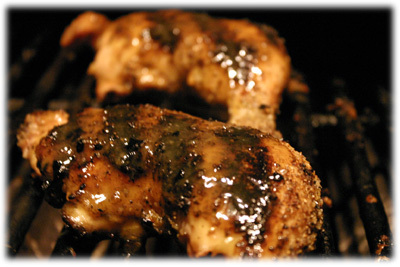 Drizzle the oil over the chicken and using your hands coat each piece well. Sprinkle the seasoning over both sides of all the pieces and rub into the skin and meat with your fingers so it really sticks. 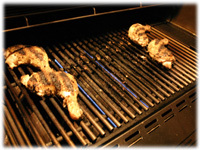 With the grill at 575F - 600F, place the seasoned chicken on the grates over direct heat. Sear the meat for a minute and then flip the pieces over to sear the other side for another minute. Move them off the direct heat to the unlit section of the grill. Don't move the pieces too far from the direct heat, just not directly over top of it. 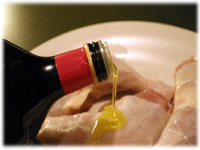 Baste each piece with a couple spoonfuls of the Honey Mustard sauce and close the lid. 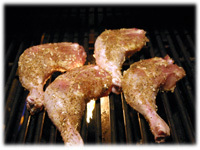 Every 10 minutes lift the lid and baste each piece with more Honey Mustard sauce. 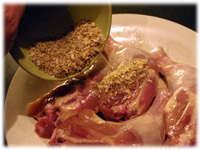 Don't flip the chicken over - you will be basting only 1 side. Cook for 45 minutes or until the internal temperature is 165F and the juices run clear. Remove from the barbecue and let rest 5 minutes.